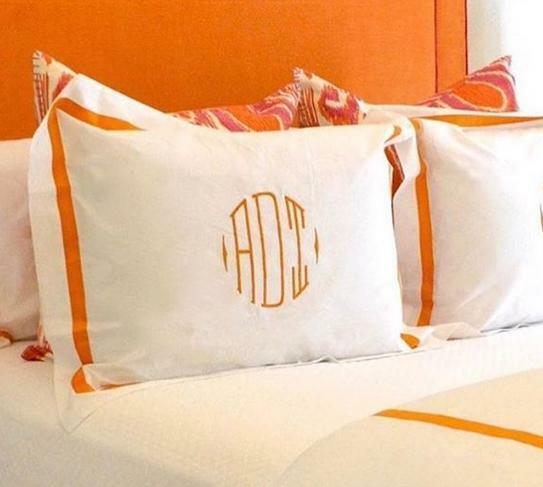 Matouk Lowell Monogrammed Bedding Collection is truly an iconic style is an elegantly modern bedroom staple. In white or ivory percale sheeting lavishly woven in Italy from the finest 600 thread count Egyptian cotton, finished with a distinctive 1-inch trim in a variety of colors. It is easy to see why this lavish bedding is a popular style. Made in the Philippines of Italian Fabric. 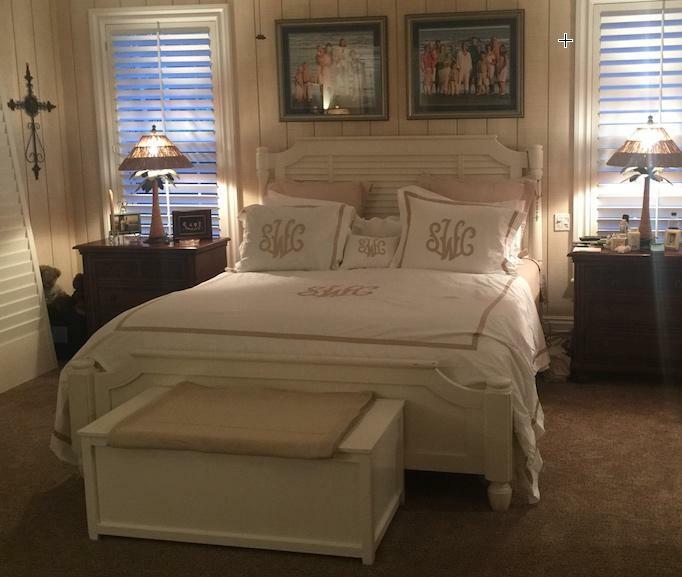 Monograms will be matched to trim color. We will use the nocturn trim choice as the applique fabric or if embroidery is chosen we will match the exact thread color to Lowell trim.